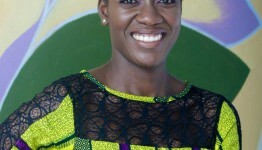 NANA Amoako-Anin, founder and CEO of Bliss Yoga Accra, knows all about finding balance as female executive. As a trial lawyer with the New York District Attorney’s office and as financial officer in investment banking on Wall Streets for many years, she had an exciting yet stressful life. Yoga became her best friend as she tried to find a balance between her life as an executive and her wellbeing. 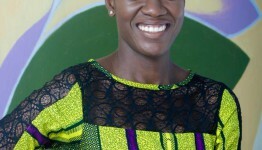 Since she returned to her home country Ghana a couple of years ago, she has been encouraging others to find that balance in their life through the sport that she has practice for 18 years. “You should really understand who you are and promote that. You don’t have to change or hide or make changes to yourself based on who you are as an executive woman.